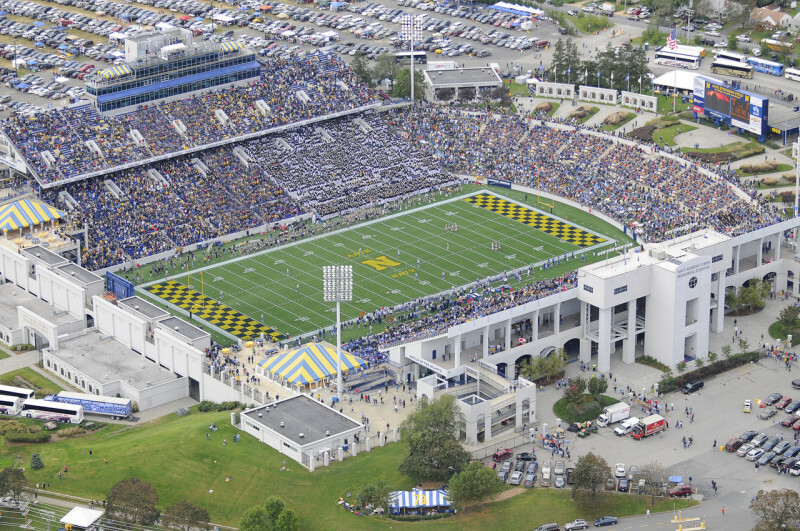 The Navy-Marine Corps Memorial Stadium has been completely renovated over the past four years into a state-of-the-art complex playing host to Navy Football and Lacrosse games as well as a multitude of local, regional, national, and international events. Home to the Navy football and lacrosse teams as well as the area’s famed Major League Lacrosse team, the Chesapeake Bayhawks, the stadium serves to provide spectators with a wonderful sporting experience. Aside from a great sports complex designed with spectators in mind, the facility also includes as 12,000 square foot banquet hall which can be rented out by outside entities for special events within a unique venue.